I sometimes think it is the false belief of many sunbathers across the globe that if you wear sunscreen you will not tan. However, this belief could not be any farther from the truth. Rather than completely blocking the sun’s rays from your skin the ingredients in sunscreen work to dissipate and scatter ultraviolet radiation that causes skin burns and other skin damaging effects. 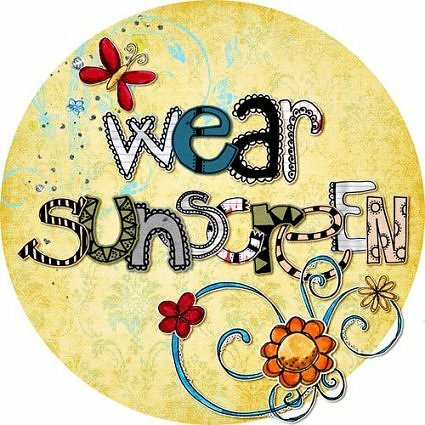 Luckily, we are becoming more health conscious as a society and realizing the importance of sunscreen. It is also important to keep in mind that sunscreen is not just for the beach. Anytime you are outdoors maybe working in the garden or at a ballgame, even on an overcast day, you being exposed to ultraviolet radiation from the sun, so it is of the upmost importance to always wear sunscreen. Who tells us: "When outside with your family, it’s extremely important to make sure that you are protected from both UVA and UVB rays. Make sure to purchase a “broad-spectrum” sunscreen which will keep your family safe from UVA rays, which cause premature aging and UVB rays which cause your skin to burn. It’s also essential that you cover up not only with sunscreen but with protective clothing, hats, sunglasses and umbrellas."